The 66th Annual Conference of the Israel Heart Society (IHS) in association with the Israel Society of Cardiothoracic Surgery is organized by Paragon Israel and will be held from Apr 30 - May 01, 2019 at InterContinental David Tel Aviv, Tel Aviv, Israel. The upcoming meeting will focus on innovation in cardiovascular medicine, while organized original scientific contributions and invited lectures divided into plenary and parallel sessions in the various subspecialties. We are very proud to be hosting a large number of distinguished, world-renowned international guest speakers and leaders from the European Society of Cardiology (ESC), the American College of Cardiology (ACC), the American Heart Association (AHA), the Society of Cardiovascular CT (SCCT), AFICARDIO (French-Israeli Association in Cardiology) and many more. According to the attendees' request, we will supplement the 2019 meeting with additional educational sessions, some novel collaborative sessions and we will continue the tradition of conducting a unique session of women in cardiology and dedicated sessions for the trainees. Conference Topics: • Adult Congenital Heart Disease / Pediatric Cardiology • Basic Science • Cardiac Imaging • Echocardiography and Valvular Diseases • Heart Failure • Intensive Care / Myocardial/Pericardial Diseases • Interventional Cardiology • Pacing and Electrophysiology • Rehabilitation/Epidemiology / Prevention and Risk Factors /Pharmacotherapy and Cardiac Pharmacology • Heart Surgery Time:8:00 am to 5:00 pm Speakers:Ran Kornowski, Ronen Rubinshtein Additional details will be posted as soon as they are available. 12-Night Israel CME Land Tour is organized by Sea Courses Inc and will be held from May 26 - Jun 07, 2019 at Tel Aviv, Israel. 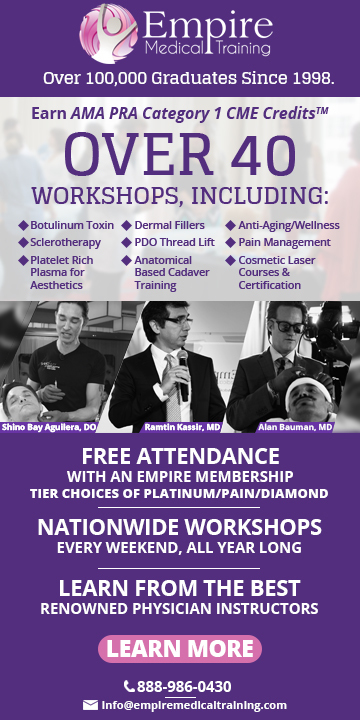 The target audience for this medical event is family physicians, specialists, and allied health care professionals. Course description : The aim is to provide evidence-based material, as well as practical and relevant clinical pearls that will be easy to implement into one’s own medical practice. Conference attendees will be invited to complete a pre-course Needs Assessment to assist the faculty with the development of their presentations. 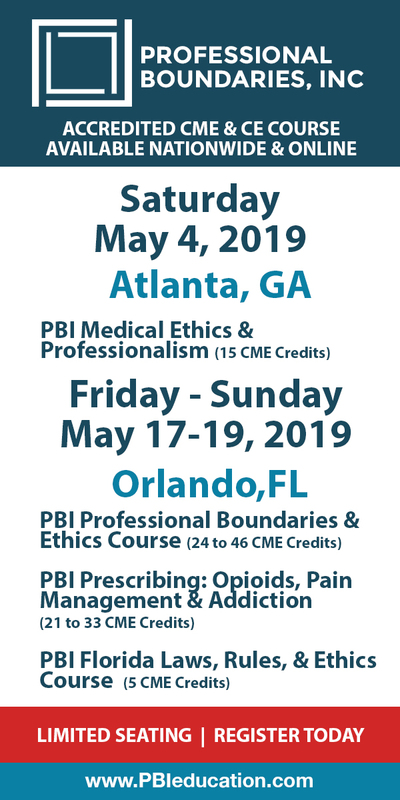 Course Topics : Dr. Habert • Diabetes 2019 Update • Adult ADHD Overview for Primary Care • Stroke Prevention in AF • Fracture Prevention in Osteoporosis Dr. Pandeya • Update in Hypertension • Proteinuria and Hematuria • Nephrolithiasis • Chronic Kidney Disease Dr. Rakovitch • Finding Cancer Early: An Overview of Screening Recommendations • An Update on the Benefits and Harms of Breast Cancer Screening • Ductal Carcinoma in Situ: What Is It and Why Is It So Controversial? • You’ve Diagnosed Breast Cancer. Now What? An Overview of the Breast Cancer Journey Ms. Tremayne-Lloyd • Health Law 101 – The Legal Framework for the Practice of Medicine in Canada • Ending the Physician-Patient Relationship • To Live or Let Die: The Laws of Informed Consent • Consequences of Conflict of Interest Additional details will be posted as soon as they are available. 2nd International Public Mental Health Conference is organized by Target Conferences Ltd and will be held from Jun 19 - 21, 2019 at Notre Dame of Jerusalem Center, Jerusalem, Israel. Conference Description: Public mental health is a way of viewing psychiatry through the needs of the community, the public resources available to meet those needs, and a call for psychiatrists, epidemiologists and policy planners to rally together to meet those needs. The first Public Mental Health (PMH) congress was held in Vilnius, Lithuania in 2017. In recent decades, public mental health has become a cornerstone in the field of public health. Most excitingly public mental health addresses the conditions ranking high among the top causes of global burden of disease. Community factors are increasingly understood as critical factors in the development and the maintenance of mental disorders and mental health. The theme of our conference will be resilience and recovery. This is highly relevant not only for our professionals but also for the public. Renowned scientists from many countries of the world will present the most recent research and discuss these topics. Speakers: Terry Brugha, UK, Ronald C. Kessler, USA, Marc Weisskopf, USA Time: 8:00 am to 7:00 pm Additional details will be posted as soon as they are available. 17th Annual International Association for Relational Psychoanalysis and Psychotherapy (IARPP) conference Imagining with Eyes Wide Open Relational Journeys is organized by International Association for Relational Psychoanalysis and Psychotherapy (IARPP) and will be held from Jun 20 - 23, 2019 at InterContinental David Tel Aviv, Tel Aviv, Israel. Additional details will be posted as soon as they are available. CannX 2019: 4th International Medical Cannabis Conference is organized by Kenes Group and will be held from Sep 09 - 10, 2019 at Tel Aviv Convention Center (Merkaz HaYeridim), Tel Aviv, Israel. Description: Join conference president, Prof. Raphael Mechoulam, the conference chair Yossi Bornstein, and the Cann10 experts and industry visionaries for everything medical cannabis! The main program includes 3 exciting tracks – Science, Business, and Agriculture. Session highlights include: • Cannabis, psychology and emotions - the influence of different cannabis compound on our body and mind • Cannabis treatment as an exit strategy - substitute for opioids, alcohol and other drugs • The impact of cannabis-based treatment on various diseases - pre-clinical and clinical results • The next step in cannabis treatment: the benefits of cannabis micro dosing • The medical cannabis capital market - how to assess the true value of a company? At CannX you will get the latest updates and developments across all segments of the medical cannabis field and meet the leading medical cannabis businesses and education partners to help grow your business and raise your company’s profile in the field. The prestigious CANN10 2019 Innovation Award competition will take place during the event. It is open to cutting-edge Cannabis-related startups from across the globe and will help them gain invaluable exposure and worldwide recognition. If you are a leader in the medical cannabis field or want to become one, join us at CannX 2019. Price: • International CannX Experience Super saver Early Fee: $550 USD • International CannX Experience Regular Fee: $650 USD • International CannX Experience Onsite Fee: $800 USD Artists / Speakers: Adi Aran, Simon Benita, Nirit Bernstein, David Casarett, Elyad Davidson, Shiry Eden, Jonathan Grunfeld, Lumir Hanuš, Shaul Lev-Ran, Philippe Lucas, Raphael Mechoulam, David (Dedi) Meiri, Gal Meiri, Victor Novack, Avi Priel, Avner Shenfeld, Orit Stolar, Yossi (Joseph) Tam, Rami Yaka, Andreas Zimmer Additional details will be posted as soon as they are available. The 7th Jerusalem International Conference on Health Policy is organized by The Israel National Institute for Health Policy Research (NIHP) and will be held from Sep 15 - 17, 2019 at International Convention Center Jerusalem, Jerusalem, Israel. Health and Healthcare in the Age of Innovation Leading experts will be addressing the conference in plenary and parallel sessions designed to provide fertile grounds for the emergence of new insights, ideas and understandings. Conference Main Topics: • Data-driven care - realizing the promise • Uber’ization of healthcare - dream or nightmare? • Innovation in health economics, and the economics of healthcare innovation • New challenges and threats in the age of innovation International Registration Fee: Full Conference Early Bird Fee - $450 (Until 08/08/2019) Full Conference Regular Fee - $520 (From 09/08/2019 Until 12/09/2019) Full Conference Onsite Fee - $590 (From 13/09/2019 To 15/09/2019) One Day - Monday Early Bird Fee - $300 (Until 08/08/2019) One Day - Monday Regular Fee - $370 (From 09/08/2019 Until 12/09/2019) One Day - Monday Onsite Fee - $440 (From 13/09/2019 To 15/09/2019) One Day - Tuesday Early Bird Fee - $300 (Until 08/08/2019) One Day - Tuesday Regular Fee - $370 (From 09/08/2019 Until 12/09/2019) One Day - Tuesday Onsite Fee - $440 (From 13/09/2019 To 15/09/2019) Additional details will be posted as soon as they are available.